Our Mission: To provide for the cultural enhancement of our patrons, participants and community by the production of high quality theatrical entertainment. 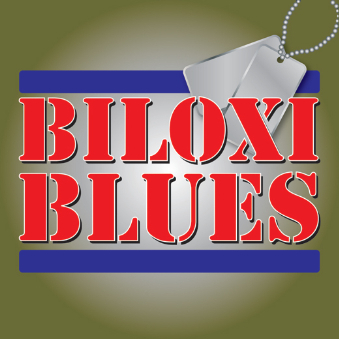 "Biloxi Blues" is presented by special arrangement with Samuel French Inc. Follow Neil Simon’s alter-ego Eugene Morris Jerome in Part Two of the master playwright’s heartfelt yet humorous coming-of-age “BB Trilogy” entitled “Biloxi Blues.” In this play, we meet the young Brooklyn native as he prepares to roll off a train in “beautiful” Biloxi, Mississippi. There, he and five other soldiers will attempt to survive boot camp in the care of a hard-nosed, over excited drill sergeant, just sixth weeks before they are destined to be shipped off to the battlefields of World War II.Though their ordeal, our characters wrestle with love, camaraderie, morality, bigotry and, above all, the beauty and inevitable demise of youthful innocence. Celebrating our 2018 Season accomplishments and our 25th Anniversary Season.